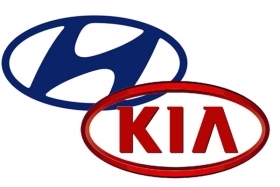 PARIS -- Hyundai and Kia have been accused of dumping practices by French Industry Minister Arnaud Montebourg, who says the tactic is hurting domestic automakers Renault and PSA/Peugeot-Citroen, both of which have been losing sales and market share in their home market. Montebourg has asked the European Commission to investigate the legality of the Hyundai Group’s strategy in France and Europe under the terms of a trade agreement between the European Union and South Korea. Montebourg said the Hyundai Group, which is the parent company of Hyundai Motor Co. and Kia Motors Corp., prices its cars below market value to unfairly gain market share in France and in Europe. France also will be the first EU member country to petition the European Commission to investigate whether the practices of a South Korean company meet the terms of the trade agreement or not. “Hyundai and Kia are unfairly competing against [French carmakers] by engaging in dumping, which is unacceptable,” Montebourg said during a French Socialist Party meeting Friday. PSA’s and Renault’s sales have plummeted this year in France while Hyundai and Kia have seen double-digit growth in the market. Hyundai Group sales in France surged 30 percent to 36,328 units from January through July, according to French auto association CCFA. By comparison, PSA’s sales were down 20 percent to 367,542 units and Renault’s volume declined 18 percent to 272,722 units during the same period. A Hyundai Europe spokesman rejected the French minister’s claims. He told Automotive News Europe that the average price discount carmakers in the EU offered during the first half of 2012 was 2,137 euros, while Hyundai's price incentive was 88 percent of that average, or 1,870 euros. Hyundai Europe Chief Operating Officer Allan Rushforth said in a statement that Hyundai cars for the European market were mainly built outside of South Korea and that the company was gaining share because of its quality-to-price ratio. The French government also has criticized French companies that have cut jobs or plan to reduce staff in France and has singled out PSA after its announcement last month it would close a car assembly plant in France and slash 8,000 jobs. Industry Minister Montebourg told reporters in July that the French auto industry must take measures to protect French jobs, but he was not more specific. The French government has appointed a special advisor to probe PSA’s restructuring plans. The study results, which will be announced Sept. 11, will determine whether the government deems PSA’s plan is necessary and whether the massive job cuts in France can be avoided.